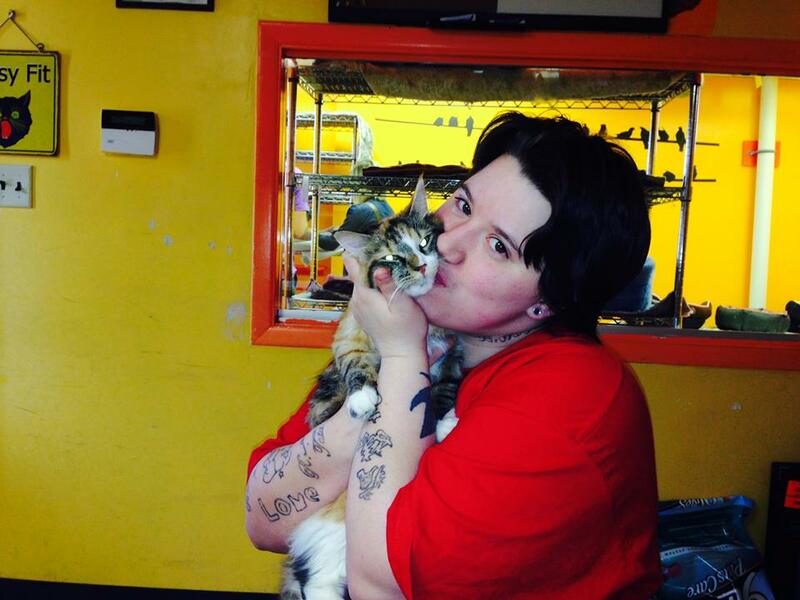 A fluffy little calico cat named Unique was saved from becoming a shelter resident and a lost cat statistic when she was reunited with her overjoyed petmom last weekend. 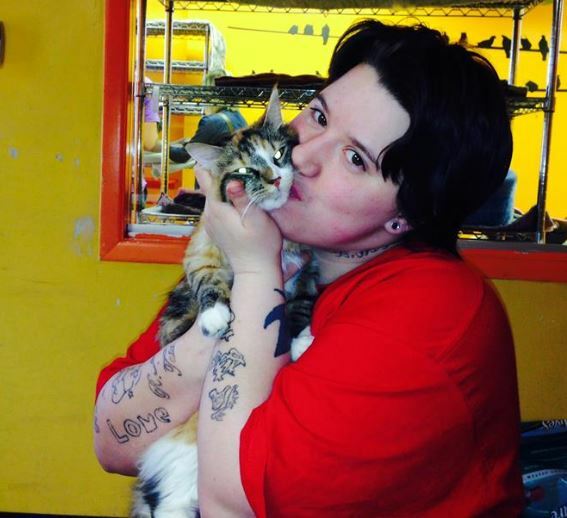 Youngstown, OH, no-kill rescue and adoption group West Side Cats was thrilled to share a happy ending story for a lost cat and her owner at Facebook on April 14. Cats are so rarely reunited with their families when they go missing and end up at shelters that it is cause for rejoicing when they go back home. “Did you know that over 85% of lost cats never find their way home? That sad statistic is amazing and kind of frightening to all of us who love our indoor furbabies. “A fluffy little calico was brought in to our shelter last week when a lady found her on the street. After an initially rocky start (I will bear scars on my hand forever) Tris, as we called her, warmed up and chilled out, developing a love for all canned food and realizing that once the blood test and vaccination were over nobody was going to keep chasing her with needles. “Saturday we got a call from a young woman who was calling every shelter in the area. 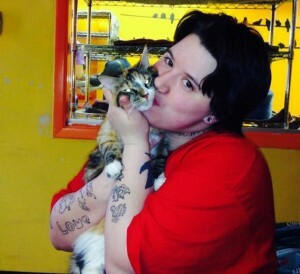 While moving, her calico kitty had escaped from her carrier and she was desperate to find her. My descriptive powers not being the greatest, Tris did not sound like a match for her missing kitty but we urged her to come in and check anyway. Read About West Side Cats at their website, and visit their West Side Cats Facebook page.